Watch full Naruto Shippuden Season 20 Episode 35 English Dubbed full HD online. Naruto Shippuden Episode 448 English Dubbed online for free in HD. Lee observes Pain from afar. Sakura treats Hinata’s injury. Shikamaru looks up to the True: Chibaku Tensei technique. In his mind, Naruto grows angry, and demands the fox to give him more chakra, who cautions him that he can still not control its power. Kushina feels something is wrong with Naruto because the Nine-Tails’ chakra in her is disturbed. Minato has Ino contact those outside, and Shikamaru updates them on what is happening outside. Hearing about Naruto, Kushina decides to take a drastic measure. She manages to contact him in his mind. She intends to pass on her Nine-Tails entirely to Naruto, but the Nine-Tails in Naruto assures her it won’t be necessary. 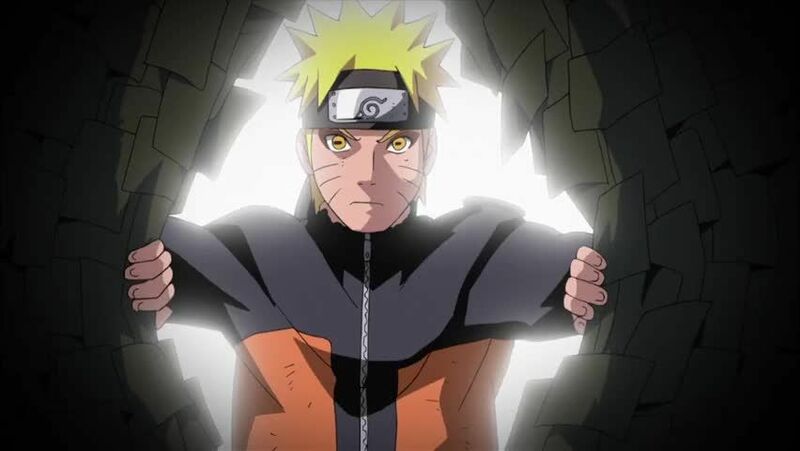 She passes a portion of the chakra to Naruto, who manages to break through the Chibaku Tensei and defeat Pain. Naruto tracks Nagato down, who’s words remind Nagato of Yahiko, convincing him to release Konoha. Minato and Fugaku discuss Sasuke and Itachi. Sasuke attacks Orochimaru, but collapses from being poisoned. Sasuke wakes up and is approached by Sasori, who offers him Akatsuki’s help in achieving his goals. Sasuke wants to destroy Konoha.